"Business recognizes we can make the world sustainable... and business can't sit back and wait for government to set the rules. Business must lead." There were the words of Peter Bakker, President of the World Business Council for Sustainable Development, who spoke at the United Nations Digital Media Zone yesterday. With the advent of high-level meetings at the UN, conversation around achieving the Sustainable Development Goals has amped up. At the Digital Media Zone, the world's top change-makers have been giving interviews while leaders in business and NGOs have joined delegates and celebrities to discuss how the world can collectively achieve corporate social responsibility. Nowhere has the narrative been more engaging than around innovations in mobile broadband technology as a tool for social good. Among the innovators are organizations such as Techfugees, a global community of tech entrepreneurs that are connecting Refugees to mobile solutions through apps that help migrants locate desperately-needed resources, from food to legal advice. "Our goal is to galvanize tech communities around the world... to have them get involved with non-profits on the ground. We want bring the innovation and agility of the technology world to [these causes]," said Andlib Shah, head of the Techfugees US chapter. Techfugee projects include the Refugee Aid App, which connects the world's most vulnerable migrants to clean water, warm clothing, and support channels, and Refunite, which reunites fragmented families. Esri is another company taking mobile tech to the next level. Their global mapping technology is "creating a geographic nervous system" for the world, by which data can be synthesized to localize problems for effective solutions. Mobile geography is being used to conserve the environment by locating future natural resource conflicts, and in the nonprofit sector, accurate infographing is helping promote worthwhile causes. AIESEC International is including youth in the mobile revolution, by tying activist hashtags to genuine calls to action. Its volunteer program has expanded globally, and relies heavily on broadband to recruit. Alinafe Chimongo presents Esri's Collector app on his smartphone. It helps Malawi farmers increase crop yields. Another trailblazing innovator featured at the DMZ was Qualcomm Wireless Reach the CSR initiative of Qualcomm, the world's leading producer of mobile chip sets. 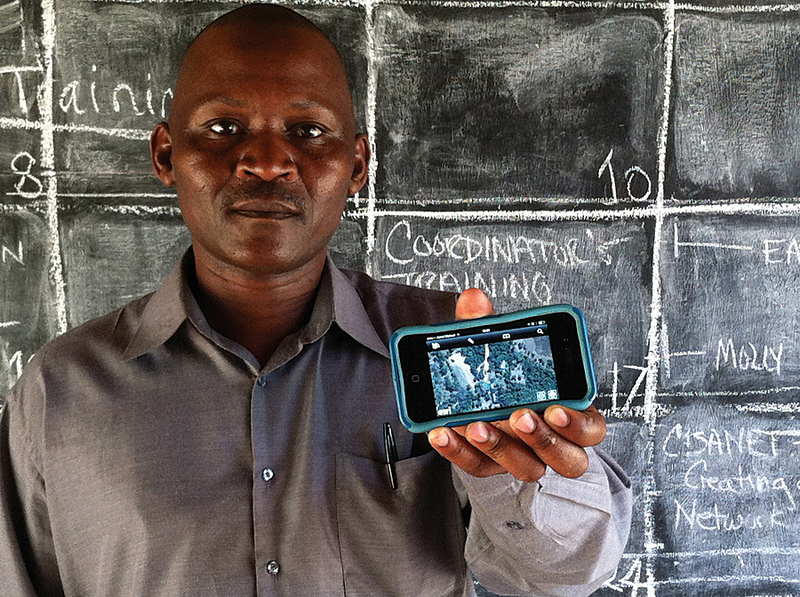 The initiative is building mobile broadband programs across the globe to drive social change. "The heart of Qualcomm is building mobile technology, and asking, how can we use that to make the world a better place?" said head of Qualcomm Wireless Reach, Angela Baker. "The SDGs help drive the vision for the programs [and] we touch on every goal." Wireless Reach's focal SDG is #9: Industry, Innovation, and Infrastructure. That being said, with 10 years devoted to corporate social good in over 100 programs across 46 countries, the CSR program has been leveraging 3G and 4G mobile technology to bridge the gap between SDGs and positively cross-pollenate. Wireless Reach also has an education program in Myanmar where they're working with Ericsson, UNESCO, and a number of large partners. "It fits into the education SDG lens, but it also keeps girls in schools, so there's the gender equality lens," shared Baker. Wireless Reach focuses largely on developing countries, which are the most in need of resources and access. While emphasis is placed on health, public safety, entrepreneurship, and education, the initiative's portfolio range is sweeping. In Japan, Baker and her team are using mobile technology to create digital textbooks for remote education. In the USA, the group is teaching students to empathize with other cultures through augmented reality. In Spain, it is assisting people with disabilities. In Tanzania, the team is helping entrepreneurs manage their micro-finances. In Senegal, they are alerting fishermen to life-saving weather information and documenting the fair market price of each catch, enabling upward social mobility. India may exhibit the best example of SDG crossover. Wireless Reach is providing audio and video training for childbirth and neo-natal care, which is empowering pregnant women, training doctors, improving the literacy of nurses and ASHAs, and teaching medical staff to integrate mobile technologies. Ultimately, the goal of the program is to reduce India's death rate. All information is accessible by central hospitals, meaning that doctors are all on the same page. Wireless Reach's commitment to empowering local communities is improving lives and livelihoods by putting the program's direction in the hands of locals. "We can pivot it if something's not going right... [Technology] is a tool," said Baker. "You can't just throw a bunch of tools at people and expect them to change how they do their job. "That's why it's really important to work in a local context: local team, local language." Students in Jordan working with mobile educational technology, part of the QWR program. They have this "local" mindset in common with Techfugees, Esri, and AIESEC. Fostering people-to-people interactions, on-the-ground training, and localizing social good initiatives makes them sustainable within the communities they help. Each change-maker is focused on bringing underserved communities the resources and education they need to help themselves, packaging it in a way they can understand and integrate into daily life. It's a refreshing difference from large corporations dumping tools into in-need spaces, and assuming the same tools can work in the same way across verticals. Lessons learned across Wireless Reach's program are taken into new projects, and a central knowledge base is grown and shared. The initiative is currently expanding into new tech areas, including wearable devices and drones. Techfugees and Esri are also on the cutting edge, delving into cross-sector growth. Problem-solving has led to the deployment of unique iterations of tech across the board, such as solar cells for phones in areas that don't have regular access to electricity. It's a feedback loop we rarely see in corporate social responsibility: learning from local needs, and re-vamping projects to suit the feedback. It's vital that mobile broadband is a leader in this shift to local. According to the UN Telecommunications Agency, there are almost 6.8 billion mobile subscriptions in the world. Compared to the world's 7 billion people, that number is significant-- especially since poor, underserviced countries still have a subscription rate of 89.4%. This season's DMZ game-changers are making the world more accessible and changing the rules by giving the power and the tools to those communities most in need.